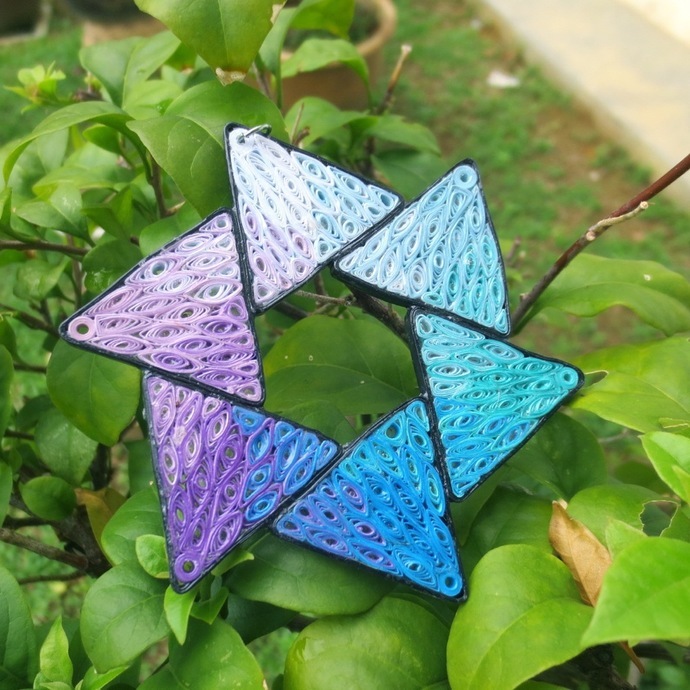 This gorgeous blue and purple ombre six sided star is eco friendly and handcrafted by the art of paper quilling. 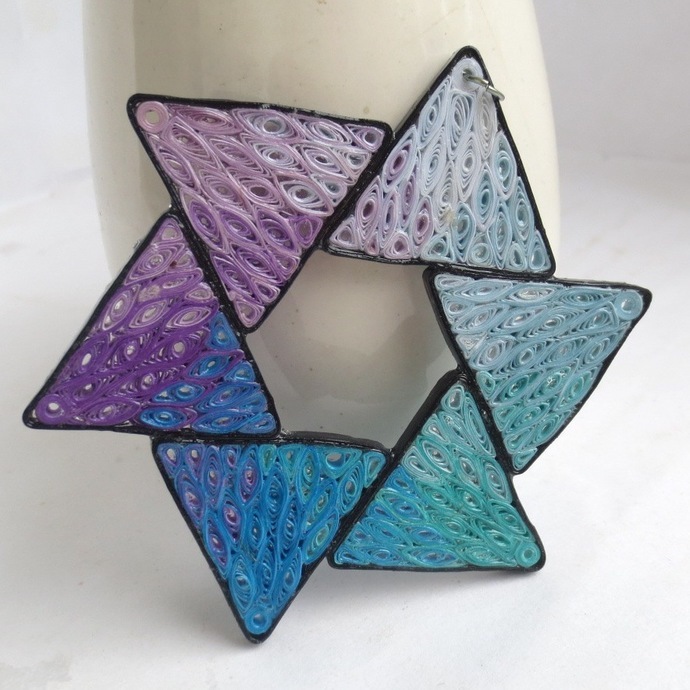 It is perfect as a statement necklace or as an ornament to hang in a window, on a tree, above a mantelpiece, etc. It is a show stopper! It is carefully varnished in several layers for a sturdy and water resistant finish. The pendant does not come with a chain or cord, but if you need a simple one, let me know and I will include it for free. It is best worn on a chain that is 18" or shorter for better protection. 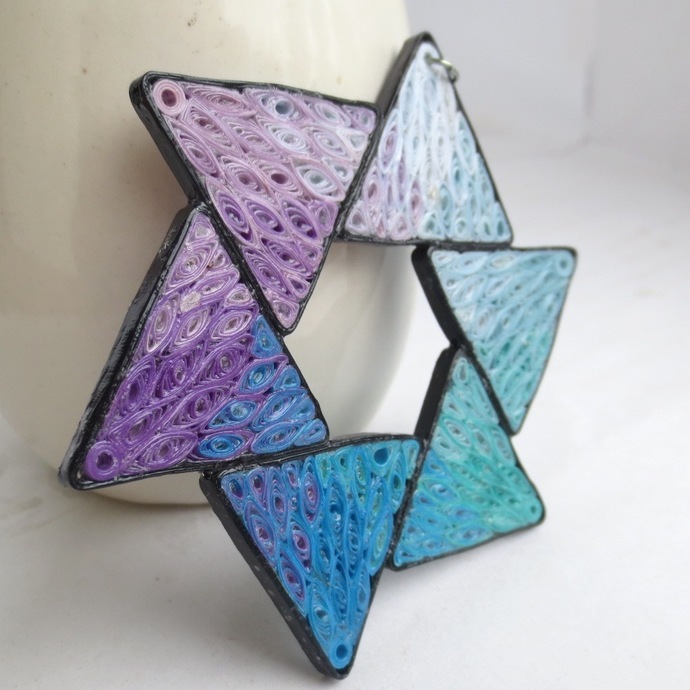 It is very sturdy for being made out of paper, but is still not as sturdy as a pendant made out of, say, metal. The star measures 3 1/4" (8.4cm) from the top to the bottom point. 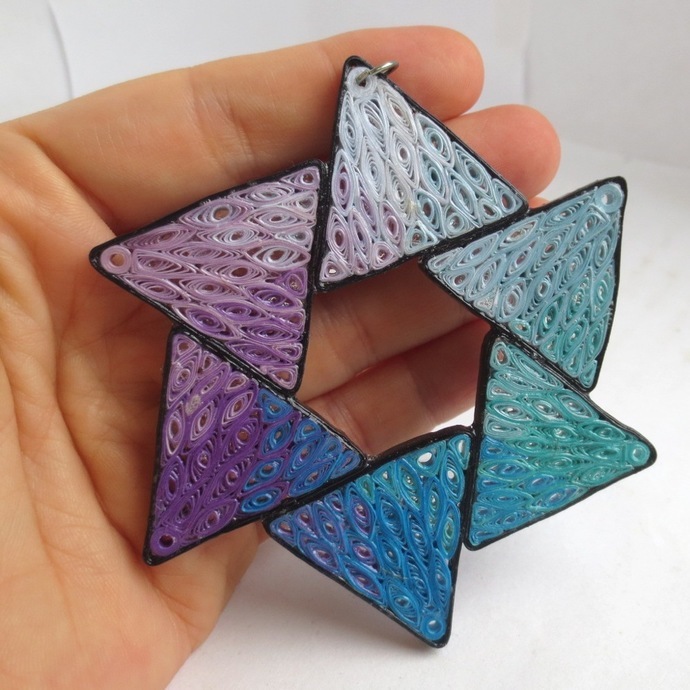 Do you like the design but want different colors? Simply purchase the listing and let me know in the notes to seller what colors you would like and I'll make one just for you! This star, like all my jewelry, comes packed safely in a cute gift box. If you order multiple items, I may pack in fewer boxes than there are items, unless you request otherwise. Handmade with care by Honey - because everyone deserves a unique look!